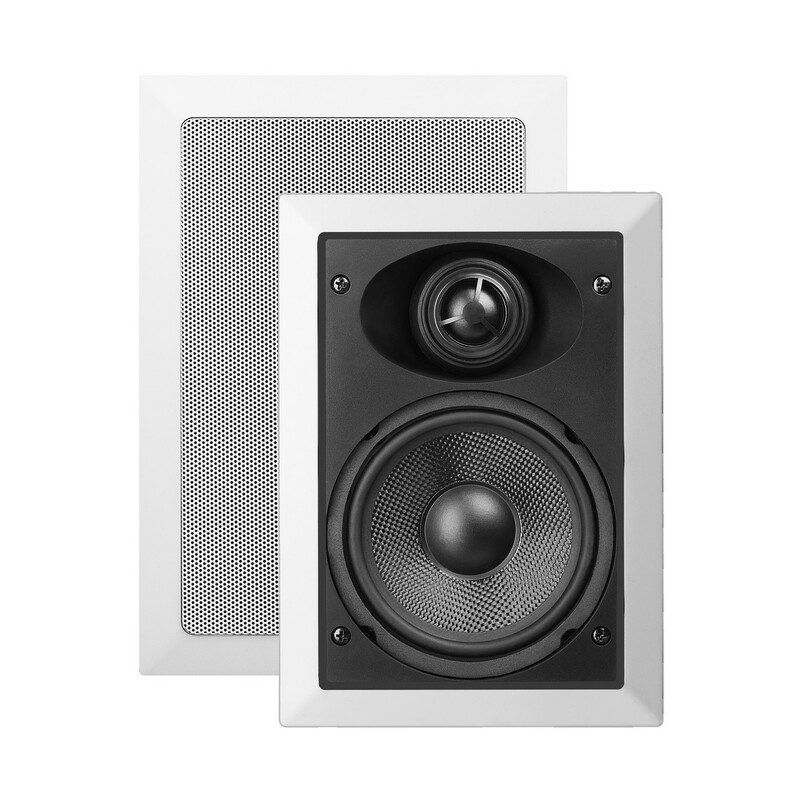 Typically rectangular in shape (although we do offer square models), in-wall speakers are mounted in the wall and take up far less space than traditional box speakers. 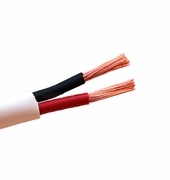 Customers love that wires are neatly concealed behind the wall and OSD in-walls can even be painted to match a room décor. 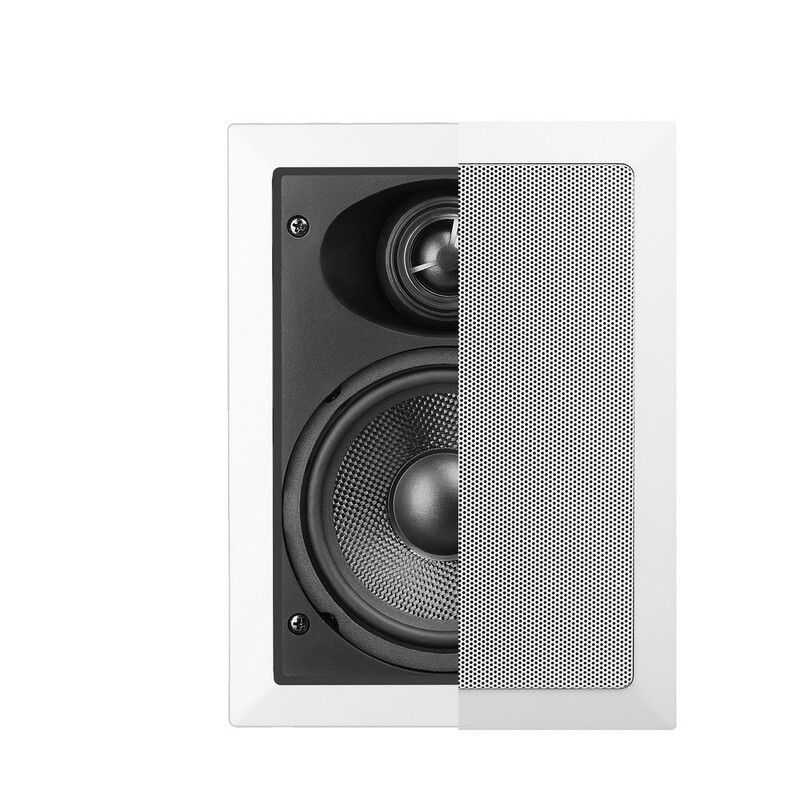 Most in-wall speakers use the wall cavity as their enclosure or cabinet, which explains why in-wall must be installed to sound right. 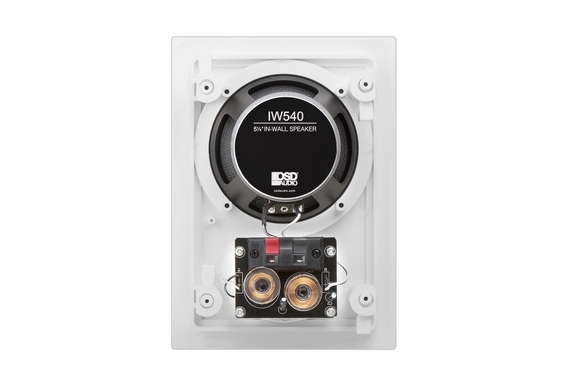 In-wall speakers come with special screws (called dog ears) that flip out and secure to the drywall (or other wall surfaces), a nearby stud, or a special frame attached to the studs. Custom installation frames (brackets) can also be purchased for a more secure fit or for lighter wall materials that require more support. 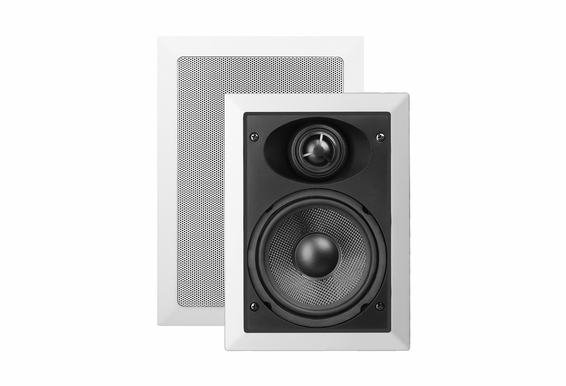 In wall speakers are often categorized by the size of the woofer, not the size of the speaker itself. 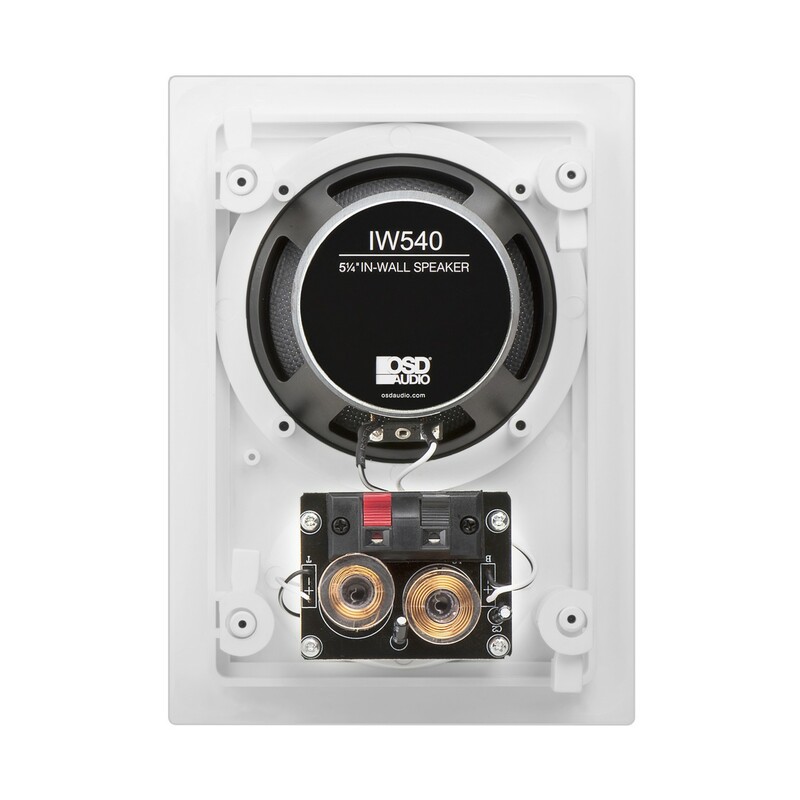 Unit Dimension: 9.5" x 6-3/4" x 2-3/4"
Cut-Out Diameter: 8" x 5.5"
The IW540 in-wall speaker is our most popular in the 5.25" category. 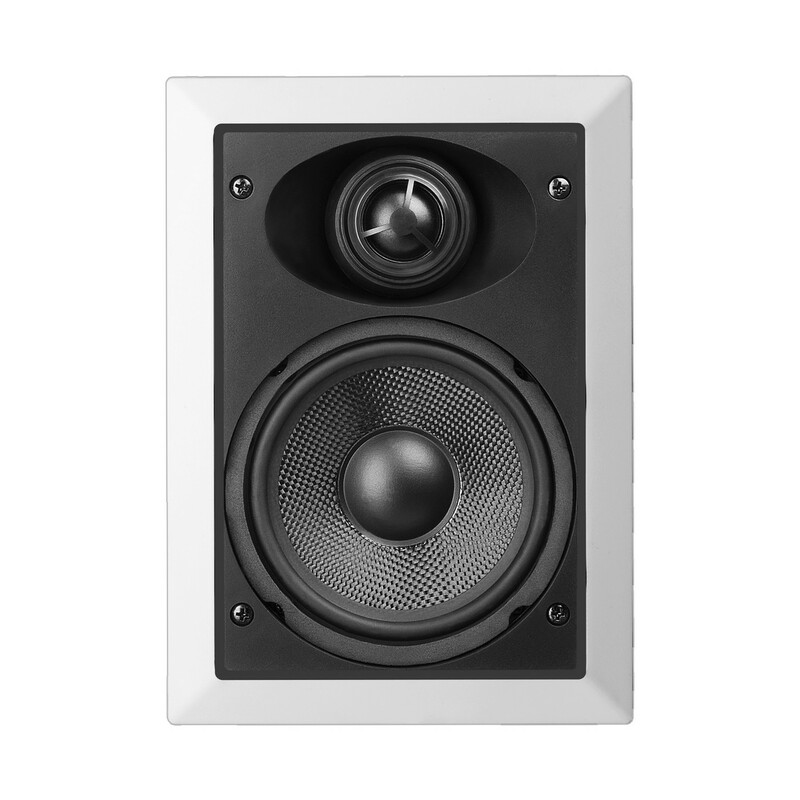 Is there anything wrong with rotating the speaker 90 degrees as far as sound quality is concerned? 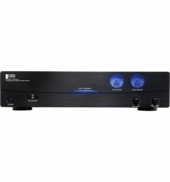 Building a home and looking for a basic system (some speakers and equipment for just listening to the radio or CD player over the whole house). 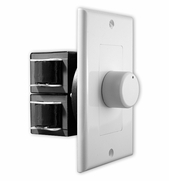 Will probably only have two zones, upstairs and downstairs in a 2000 sf home. 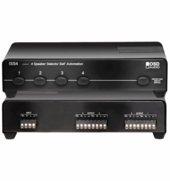 I read a little about the 70V systems where the speakers can be run in series but not sure which speakers to order. Attached pics a floor plan where I think speakers should go. Any advice would be greatly appreciated. I need speakers for an indoor hot tub room. Would these be OK in a humid environment? I just want to connect an mp3 player to these in just one room. 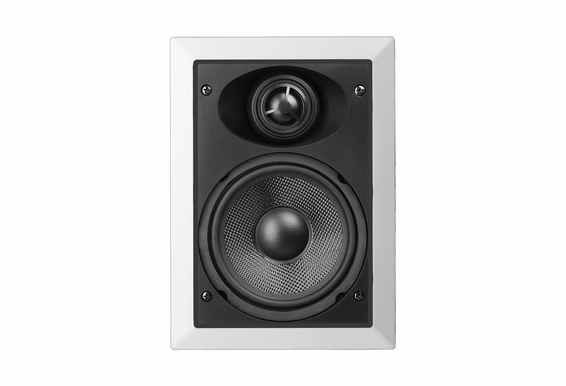 Do these speakers have an auxilary cable that would allow me to do this? My cutout is nine and five-eigths by seventeen and seven-eigths inches. The cut out could be significantly taller but not much wider than nine and five-eighths, maybe an inch on either side. The speakers are the left and right in a 5.1 setup. 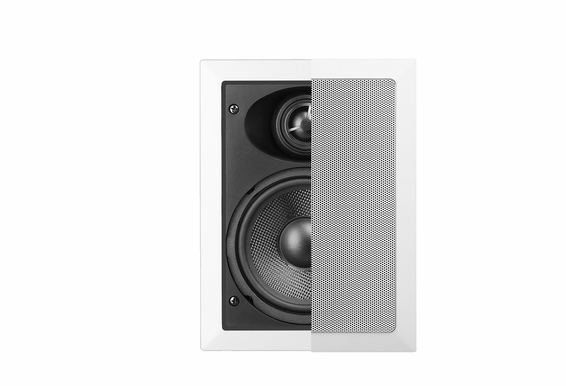 I have an existing 9 5⁄8 x 17 7⁄8” cutout in my wall and need to find replacement speakers. This model has the same size woofer but is very different in cutout dimensions. Which speaker could I buy to match that cutout? 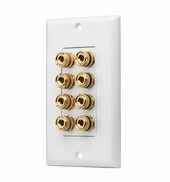 i'm going to install these in my ceiling and wanted to know if there is a housing or cover for the back side to keep insulation off the electronics?